As client relationship manager, Amber is the first point of contact for our valued clients. She is available to research and track your investments, as well as provide technical education and assistance for our online tools and systems. Confidential and capable handling of the documents necessary for account initiation, changes, and oversight fall into her realm of expertise. Amber is excited to build lasting relationships with our clients and help them achieve their long term goals. Amber holds a B.A. from Baldwin-Wallace University and is a Notary Public. 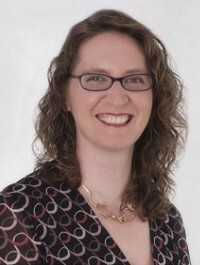 She serves on the Rocky River Assistance Program Committee, is a past president (and current member) of P.E.O. Chapter J-OH, and still finds time to clap and cheer at the variety of athletic and artistic pursuits of her children. She and her husband escape to Lake Erie as often as possible - he on a kayak, she on a standup paddleboard.